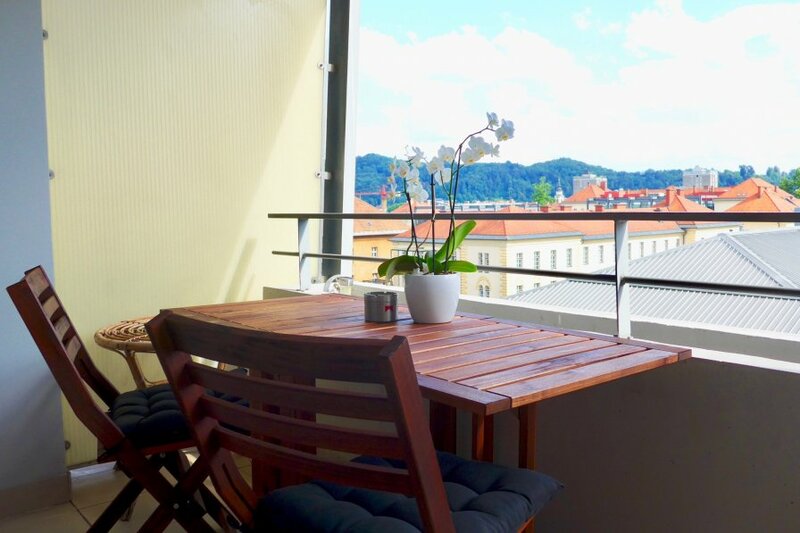 This 1 bedroom apartment is located in Ljubljana Center and sleeps 4 people. It has WiFi, garage and parking nearby. This is a lovely apartment with a lot of light during the day and large windows. Located in the city center close to Metelkova museum of street art, it is very convenient to access any point in the city by walking. The kitchen is fully equipped to cook and clean with a dishwasher. The Bathroom is user-friendly and spacious.